The Old Testament records, “I, even I, am Jehovah; and beside Me there is no savior” (Isaiah 43:11). “Jehovah … is My name for ever, and this is My memorial to all generations” (Exodus 3:15). The New Testament also states, “Jesus Christ the same yesterday, and to day, and for ever” (Hebrews 13:8). “Neither is there salvation in any other: for there is none other name under heaven given among men, whereby we must be saved” (Acts 4:12). Seeing all this, some brothers and sisters can’t help but feel confused: It was mentioned in the Old Testament that the name of Jehovah God would never change, but why did Jehovah become Jesus? And why does God’s name change? In order to gain some clarity on this issue, first let us look at Genesis 1:1: “In the beginning God created the heaven and the earth.” From this verse, we see that in the beginning, God was called God and He didn’t have a name. 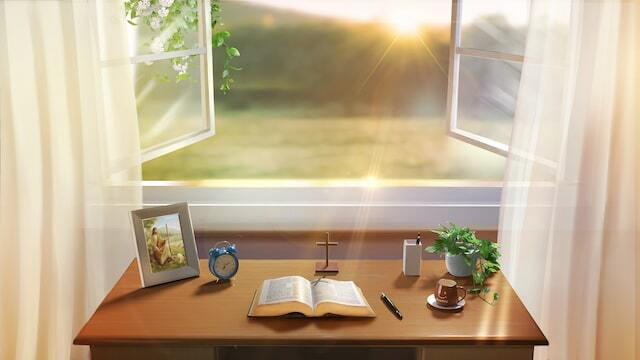 After mankind was corrupted by Satan, they urgently needed God’s salvation, and only then did God take corresponding names according to His management work. Accordingly, God’s name changes with the age and His work. The work in the Age of Law is the first step in God’s management plan to save mankind. In the Age of Law, God issued the laws through Moses to guide mankind’s lives on earth. And He also witnessed His name to Moses, just as He said, “Thus shall you say to the children of Israel, Jehovah, the God of your fathers, the God of Abraham, the God of Isaac, and the God of Jacob, has sent me to you: this is My name for ever, and this is My memorial to all generations” (Exodus 3:15). “I am Jehovah: And I appeared to Abraham, to Isaac, and to Jacob, by the name of God Almighty, but by My name JEHOVAH was I not known to them” (Exodus 6:2–3). God promulgated commandments and laws and decrees with the name of Jehovah among the Israelites. He used these commandments and laws to constrain man from committing sins; this guided people to properly live the life of worshiping God. 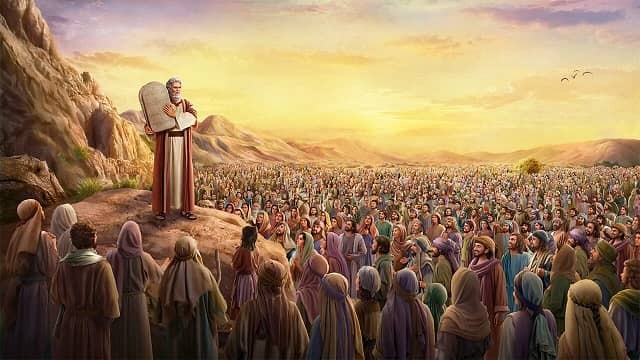 Those Israelites who upheld Jehovah God’s laws would live under the care and protection of God and enjoy God’s blessings; those who violated God’s laws and commandments would be stoned to death, or would be incinerated by fires. With regard to the significance of God taking the name of Jehovah, I read the following passage in a book, “‘Jehovah’ is the name that I took during My work in Israel, and it means the God of the Israelites (God’s chosen people) who can take pity on man, curse man, and guide the life of man. It means the God who possesses great power and is full of wisdom. … The name Jehovah is a particular name for the people of Israel who lived under the law. In each age and each stage of work, My name is not baseless, but holds representative significance: Each name represents one age. ‘Jehovah’ represents the Age of Law, and is the honorific for the God worshiped by the people of Israel” (“The Savior Has Already Returned Upon a ‘White Cloud’”). From these words we see that Jehovah is a name specific to the Age of Law, and is the name God took when He did the first step of His work of saving mankind. The Israelites all respected the name of Jehovah as a holy name, prayed to Jehovah God, and worshiped Jehovah God. Living under the law, they also felt the man-pitying, man-cursing disposition of God. But the name Jehovah only represents the Age of Law, and the work God did and the disposition God expressed in that Age. When the Age of Law ended and the Age of Grace came, the name of Jehovah was no longer brought up. Jehovah God once said, “Jehovah … is My name for ever, and this is My memorial to all generations,” but the “for ever” and “to all generations” mentioned here were about God’s work in that age. That is, God’s name in that age would not change until His work in that age was completed. But when God ends His work in that age and begins new work, His name also changes. At the end of the Age of Law, because mankind was corrupted by Satan ever more deeply, gradually man couldn’t adhere to the laws and there were no longer enough sin offerings. If this had continued, then mankind would all have died under the laws, and God’s creation of mankind would have been meaningless. In order to save us humans who lived in sin, God ended the Age of Law, initiated the Age of Grace, and did the work of redeeming mankind in the name of the Lord Jesus. Then, what is the significance of the name Jesus? This book says, “‘Jesus’ is Emmanuel, and it means the sin offering that is full of love, full of compassion, and redeems man. He did the work of the Age of Grace, and represents the Age of Grace, and can only represent one part of the management plan. … Which is to say, the name of Jesus came from the Age of Grace, and existed because of the work of redemption in the Age of Grace. The name of Jesus existed to allow the people of the Age of Grace to be reborn and saved, and is a particular name for the redemption of the whole of mankind. And so the name Jesus represents the work of redemption, and denotes the Age of Grace. … ‘Jesus’ represents the Age of Grace, and is the name of the God of all those who were redeemed during the Age of Grace” (“The Savior Has Already Returned Upon a ‘White Cloud’”). In the Age of Grace, God did the work of redemption of the crucifixion under the name of Jesus. Also, He expressed His disposition of lovingkindness and mercy. Moreover, He healed the sick and cast out demons, and taught people to be tolerant and patient in all things and to forgive the transgressions of others. As long as we pray to the Lord Jesus’ name and confess and repent our sins to Him, our sins can then be absolved, we can enjoy the bounteous blessings and grace brought by Him, and His love for us, and we will feel very peaceful. The name of the Lord Jesus exists because of the work of redemption, and represents the compassionate and loving disposition expressed by God in the Age of Grace. So, it only represents the redemption in the Age of Grace, and is specific to the Age of Grace. From these two stages of God’s work we realize that God’s name in the Age of Law is Jehovah, and His name in the Age of Grace is Jesus. These two names exist all because of God’s work of saving man. In different ages, God’s names are not the same. Furthermore, God’s name in each age has different significance, and represents the work He performs in that age and the disposition He expresses in that age. The book also says, “In every age in which God personally does His own work, He uses a name that befits the age in order to encapsulate the work that He intends to do. He uses this particular name, one that possesses temporal significance, to represent His disposition in that age. This is God using the language of mankind to express His own disposition.” “Although They were called by two different names, it was the same Spirit that accomplished both stages of work, and the work that was done was continuous. As the name was different, and the content of the work was different, the age was different. When Jehovah came, that was the age of Jehovah, and when Jesus came, that was the age of Jesus. And so, with each coming, God is called by one name, He represents one age, and He opens up a new path; and on each new path, He assumes a new name, which shows that God is always new and never old, and that His work never ceases to progress in a forward direction. History is always moving forward, and the work of God is always moving forward. For His six-thousand-year management plan to reach its end, it must keep progressing in a forward direction. Each day He must do new work, each year He must do new work; He must open up new paths, must launch new eras, begin new and greater work, and along with these, bring new names and new work” (“The Vision of God’s Work (3)”). As we can see, a single name of God only represents one age, one stage of work, and one part of God’s disposition. When an old age ends and a new age starts, God’s work will change and His name will also change. We all know that now we are in the late period of the last days. The Lord Jesus prophesied, “However, when He, the Spirit of truth, is come, He will guide you into all truth” (John 16:13). “He that rejects Me, and receives not My words, has one that judges him: the word that I have spoken, the same shall judge him in the last day” (John 12:48). The words of the Lord Jesus tell us clearly that in the last days He will return to express the truth and to perform the judgment work beginning with the house of God. And He will fulfill the prophecies in the Bible of separating the wheat and tares, sheep and goats, and the good and evil servants, and will reward good and punish evil to conclude the entire old age. So, will God change His name when He returns in the last days? It’s prophesied in Revelation: “Him that overcomes will I make a pillar in the temple of My God, and he shall go no more out: and I will write on him the name of My God, and the name of the city of My God, which is new Jerusalem, which comes down out of heaven from My God: and I will write on him My new name” (Revelation 3:12). “I am Alpha and Omega, the Beginning and the Ending, said the Lord, which is, and which was, and which is to come, the Almighty” (Revelation 1:8). From these prophecies we see that God’s new name will appear in the last days, and that God has personally witnessed that His new name is the Almighty. It’s just as two passages of words say in the book, “In each age, God does new work and is called by a new name; how could He do the same work in different ages? How could He cling to the old? The name of Jesus was taken for the sake of the work of redemption, so would He still be called by the same name when He returns in the last days? Would He still be doing the work of redemption? Why is it that Jehovah and Jesus are one, yet They are called by different names in different ages? Is it not because the ages of Their work are different? Could a single name represent God in His entirety? This being so, God must be called by a different name in a different age, and must use the name to change the age and to represent the age. For no one name can fully represent God Himself, and each name is able only to represent the temporal aspect of God’s disposition in a given age; all it needs to do is to represent His work” (“The Vision of God’s Work (3)”). “And so, when the final age—the age of the last days—arrives, My name shall change again. I shall not be called Jehovah, or Jesus, much less the Messiah, but shall be called the powerful Almighty God Himself, and under this name I shall bring the entire age to an end” (“The Savior Has Already Returned Upon a ‘White Cloud’”). God’s changing His names in different ages manifests His almightiness, wisdom, wondrousness and unfathomableness. God says, “The day will arrive when God is not called Jehovah, Jesus, or Messiah—He will simply be the Creator. At that time, all the names that He has taken on earth shall come to an end, for His work on earth will have come to an end, after which His names shall be no more. When all things come under the dominion of the Creator, what need has He of a highly appropriate yet incomplete name? Are you still seeking after God’s name now? Do you still dare to say that God is only called Jehovah? Do you still dare to say that God can only be called Jesus?” (“The Vision of God’s Work (3)”) After fully completing His work of salvation of mankind on earth, God will no longer take any name to represent Him, because any one name cannot possibly represent His entirety. God is full of authority and power. God is the Creator of all things, and God is God. Only these are the most suitable ways to call God. After this fellowship, do you understand why God’s name changes? Please enjoy the wonderful gospel movie, God’s Name Has Changed?! It has revealed the mystery of God’s new name mentioned in Revelation in the Bible. • What’s the Name of the Returned Lord Jesus in the Last Days? What’s the Name of the Returned Lord Jesus in the Last Days? From Christian Movie God’s Name Has Changed we know that why God has different names and what’s God’s name when He returns! It is prophesied in the Book of Revelation, chapter 3, verse 12, that the Lord shall have a new name upon His return. So now that the Lord has returned in the last days, can we still call Him Jesus? What mysteries are hidden within God’s name? She doubted whether the Lord will change name when He returns. Through seeking, she not only understood the mystery of God’s name, but welcomed the Lord who she had yearned for for many years.